HEY! I’m Daira, your on-line trainer. Since we will be exercising together, I want to tell you a little about myself. I am a certified personal trainer and have been a fitness coach for 10 years. I have trained kids as young as 6 and adults as old as 84. I love helping people realize their potential and turning exercise into a positive experience. 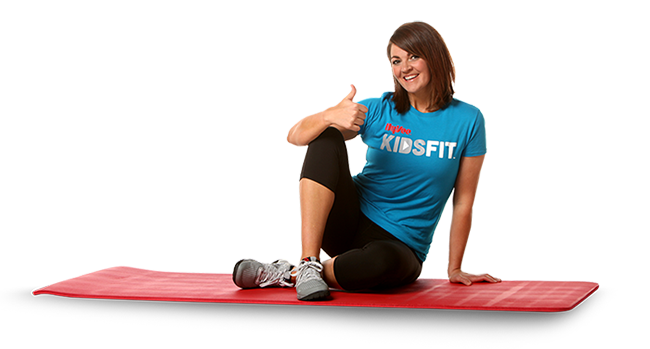 Being part of Hy-Vee KidsFit is like a dream come true. I am so excited to help you learn more about health, exercise, and nutrition. I want kids to see that fitness is fun and show you how to make it a part of your daily routine so you can be healthy for life. I became a personal trainer because I wanted to help people. I knew that if I can get people to fall in love with how working out made them feel verses training to look good or lose 5 lbs., then people would be more likely to stick with working out as part of their lifestyle. A quote I often repeat in my head is, you don’t have to be GREAT to START but you have to START to be GREAT! So let’s get started.